Many people don’t even consider eating greens for breakfast. Breakfast is usually dominated by traditional foods like eggs, bacon, cereal and toast. Did you know an easy and delicious way to get more greens into your diet is by adding a few handfuls of spinach into your morning eggs? Not only does it increase the nutritional value of your meal with vitamins and minerals but it also tastes delicious! Try this delicious and healthy breakfast option to go along with your daily morning smoothie! Salads are a convenient and delicious way to get more vegetables into your diet. Simply throw all of your favorite salad ingredients into a container and take it with you to work/school for a healthy, nutrient-packed lunch. Make sure to keep your dressing in a separate container so your salad doesn’t get soggy! To increase the protein count and make your salad more filling, you can add meat like chicken breast and tuna, or for a vegetarian/vegan option try adding chickpeas or black beans. Make sure to use nutrient-dense vegetables in your salad like romaine lettuce and baby spinach instead of iceberg lettuce. 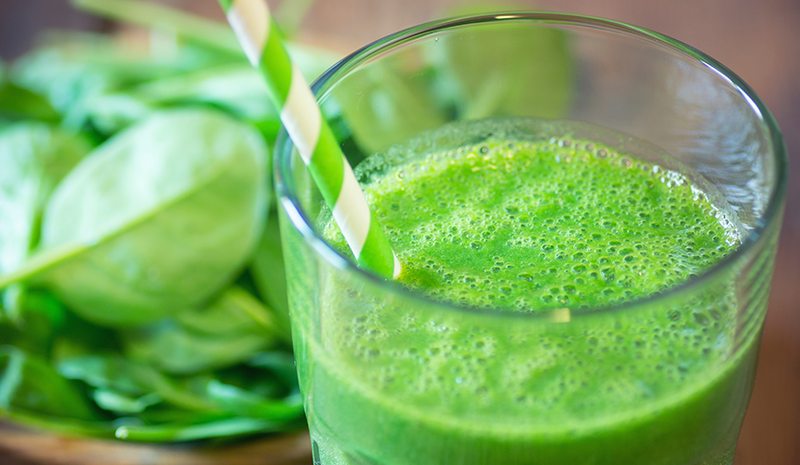 Try making a smoothie with spinach, kale and a delicious-tasting protein powder like Purely Inspired Organic Protein. This protein will add a sweet flavor to your greens, making your smoothie both delicious and nutritious! Purely Inspired® Organic Protein Nutritional Shakes are a nutritional, plant-based protein to fuel your healthy, active lifestyle. These great-tasting and nutrient-rich nutritional shakes are dairy, gluten and soy free!